Stone Mountain-based New South Associates and Savannah-based Lominack Kolman Smith Architects documented major changes that have occurred within and adjacent to the district since its designation in 1966. 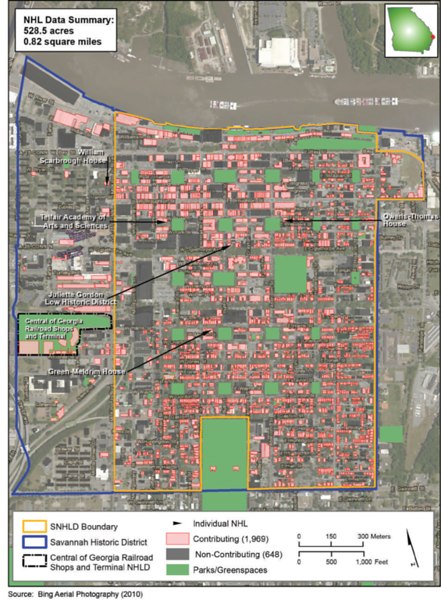 The effort involved research, a reconnaissance survey, photographic documentation, Geographic Information Systems (GIS) analysis and mapping, on current and future threats to the Savannah National Historic Landmark District. The study’s authors also interviewed historic preservation specialists, government officials as well as business and civic leaders personally or professionally associated with the district. Hotel construction has been identified as a major contributor to a loss of historical integrity. The report notes that 16 hotels have been built within, or bordering, Savannah’s Landmark District over the last 50 years. Twelve additional new hotel buildings are currently under construction or proposed to be built within or bordering the district, with one additional hotel proposed to be located in an existing building. 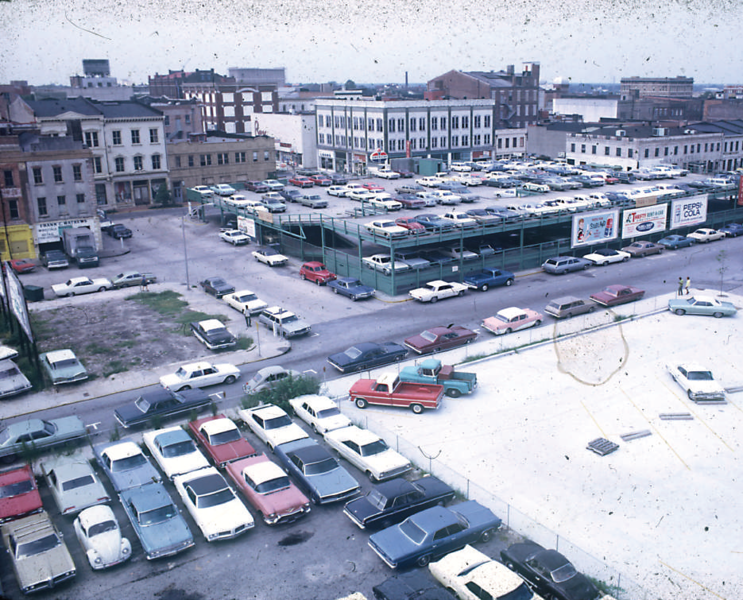 While hotels are largely constructed on lots that are vacant, these lots are often paired with neighboring parcels where demolition of non-contributing buildings is allowed. These new structures typically have a larger mass, height, and scale than their historic predecessors. Not only has the skyline been effected, but the authors note that the human scale of the district has been impacted. The design approach of the street-level floors within these new hotel building does not typically address the pedestrian experience as well when compared to historic buildings. Another major threat has been the development of large lots for new townhouse, apartment, and condominium construction. 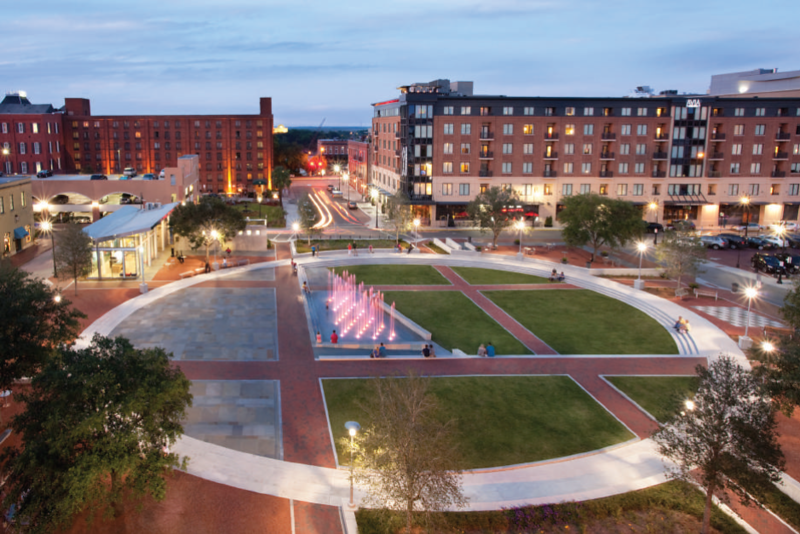 This type of residential construction has been driven by the growing number of part-time residents and vacation rental properties, as well as the growth of SCAD’s population paired with the desire of students to live in noncampus housing. These projects are typically constructed as large masses built of concrete masonry units or wood framing with brick or stucco veneer, with repeated forms and details gathered from neighboring buildings and designed to read as individual houses or units. 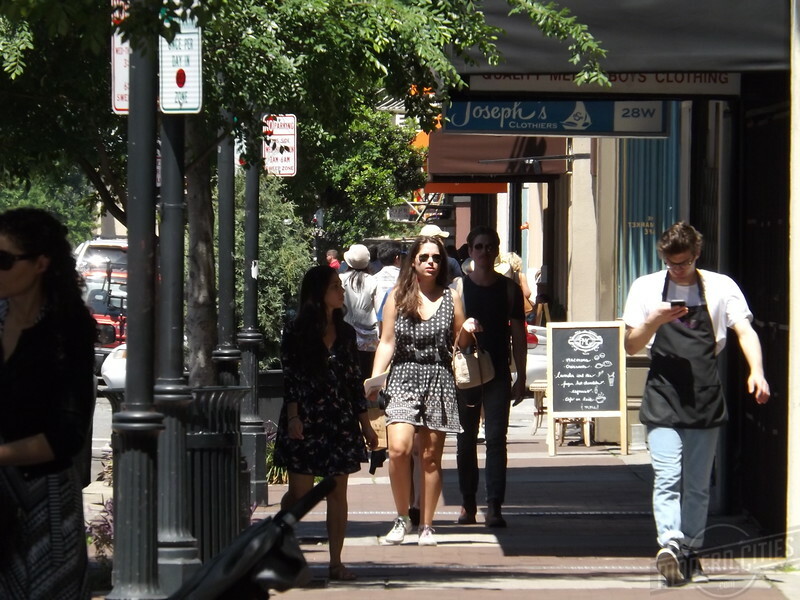 Reacting to this report, city officials have pointed to what they believe have been exhaustive efforts that have sought to strike a balance between preservation, development, tourism and quality of life. Savannah’s City Council have adopted a hotel overlay district and placed restrictions on short-term vacation rental restrictions. Later this year, ordinances to protect archaeological resources and historical infrastructure will also be considered by City Council. When the last full assessment of the district’s status was convened in 2002, the district was categorized as ‘threatened’. A follow up, yet less extensive, assessment in 2006 moved the district’s status to ‘satisfactory. National Park Service officials still say the Savannah National Historic Landmark District is not in danger of losing its historic designation, and has confirmed that the district’s status is currently “satisfactory”.